A cervical disc extrusion is one of the most extreme forms of intervertebral herniation that can occur in the neck region. Disc extrusion is defined as a protrusion in which the annulus fibrosus actually breaks open, spilling forth some, or all, of the nucleus pulposus into the surrounding spinal tissues. While extrusions are not inherently painful, they are still usually classified as the most severe of all herniation conditions. This guide helps patients to better understand the implications of an intervertebral extrusion in the neck, as well as helping them to get the help they need, if their disc pathology results in chronic neck pain. What is a Cervical Disc Extrusion? 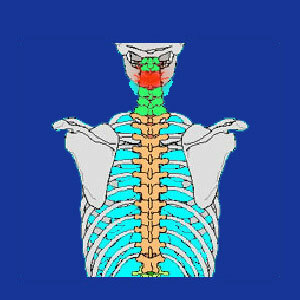 The cervical intervertebral discs are placed in between each vertebra in the neck anatomy, with the exception of C1 and C2. These discs help to cushion movement, stress and impact in the spinal structures and they also elongate the spine, accounting for about one quarter of the total length of the neck. When a disc develops a herniation, there is the possibility that the outer wall will not be able to restrain the pressure in the nucleus pulposus and might split open. This is called an annular tear, since it affects the outer disc wall, named the annulus fibrosus. When an annular tear develops, there is always the possibility that some amount of nucleus proteins will escape from the disc. When this occurs, it is called an intervertebral extrusion or an extruded disc. Basically, what this all means is that the disc has ruptured open and this hole has allowed some of the internal material to get out into the surrounding anatomy. Furthermore, if the nucleus material actually separates from the main disc body and migrates independently, this is called a sequestered disc or an intervertebral sequestration. What Causes a Cervical Disc Extrusion? Extrusions can be facilitated through any of the many possible processes that cause or contribute to any degree of intervertebral herniation. These sources include: spinal degeneration, traumatic injury, genetic disposition and idiopathic factors. In cases of traumatic neck injury, the annulus can break due to internal or external forces applied to the multiple layers of the disc wall. This means that pressure inside the nucleus can cause spontaneous breakage of the annulus, but external pressure might also be to blame. In cases of degenerated discs, where the nucleus is already desiccated and the annulus is already threadbare, the cause of an extrusion might be subtle and not traumatic at all. Extrusion of nucleus material, in an otherwise healthy disc, is most likely to be very painful, at least for a time, and might necessitate treatment. Meanwhile, extrusion in a greatly desiccated disc might go completely unnoticed, although this is not an absolute rule. Extrusion can occur out of a small annular tear, a large annular tear or multiple annular tears. Extrusions may or may not require professional medical care. Many are completely asymptomatic and some extrusions even help to relieve pain from an acutely bulging disc that was previously placing pressure on a neurological tissue. Once the disc ruptures, this pressure is often removed, or at least reduced. For extrusions that do require medical attention, some are clearly misdiagnosed, as they are implicated in causing pain and related symptoms in areas of the body not served by the theorized-to-be-compressed nerve fibers. 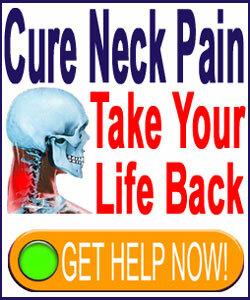 This type of diagnostic inaccuracy occurs on an epidemic scale throughout the back and neck pain care sectors. For truly pathological extrusions, proper treatment depends greatly on the individual circumstances of the symptoms which are created. For central spinal stenosis, foraminal stenosis and lateral stenosis scenarios, surgery might prove effective, but also involves great risk. Some patients with these diagnoses can also resolve their pain using nonsurgical spinal decompression. While expensive, this therapy allows the avoidance of surgery and all the complications that often go hand-in-hand with invasive care practices. For patients who are diagnosed with cervical chemical radiculitis, protein-flushing injections or minimally invasive surgery are the only real hopes. However, when the diagnosis is sound, both of these procedures can bring about relief in the majority of patients.